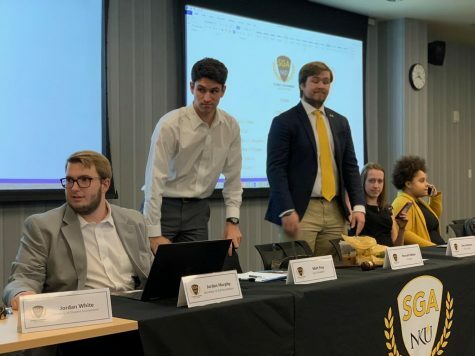 Student Government Association discussed its 2018-19 budget and learned of a new initiative to establish roundtable discussions with the student body at SGA’s Monday meeting. SGA passed resolutions reintroducing expelled sororities and increasing the prominence of feminine hygiene product dispensers on campus before swearing-in the 2018-19 SGA assembly. Here’s what you missed at SGA on April 17. 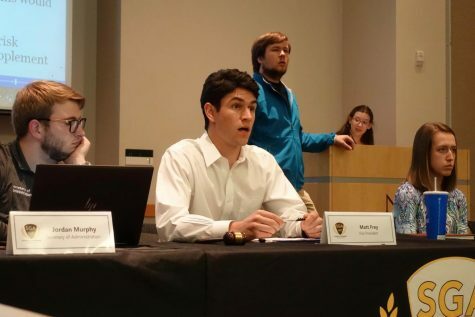 SGA read resolutions expanding on-campus dining options to include Muslim diets and reintroduce two organizations back into Greek life, and the senate passed a resolution celebrating the fifth anniversary of LGBTQ programs. The Student Government Association passed resolutions on textbooks, sexual assault resources and Muslim prayer rooms and read three other resolutions on Monday. Here’s what you missed at SGA on 4/2. 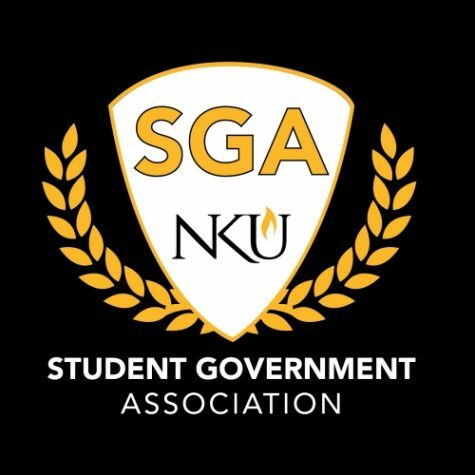 The Student Government Association was given an overview of NKU’s Quality Enhancement Plan and appointed a justice at their Monday meeting. Here’s what you missed at SGA on 3/19. The Student Government Association received updates on approaching budget cuts and passed a resolution to increase student awareness of public speakers on campus. The Student Government Association heard a presentation on proposed increases in housing, meal plans and parking rates at their Monday meeting.